ROOM RATE INCLUDES : 4 Adults. 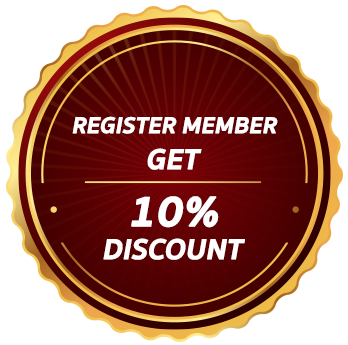 Extra Charge for extra people. 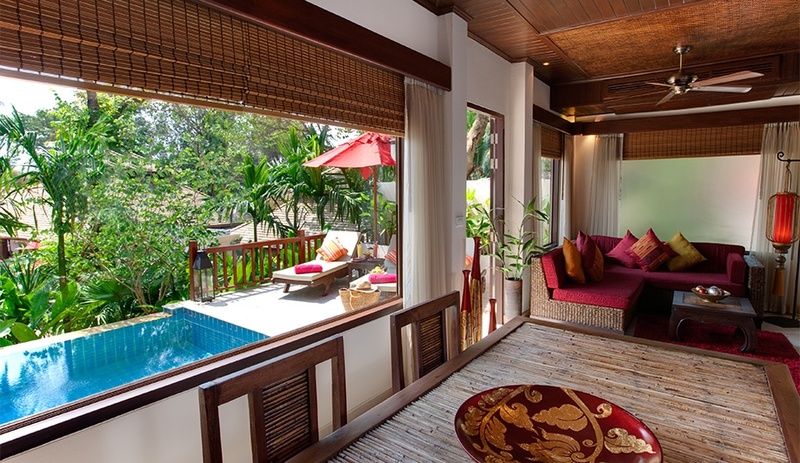 Rocky’s Boutique Resort offers 3 private pool villas for your luxurious stay in Thailand. 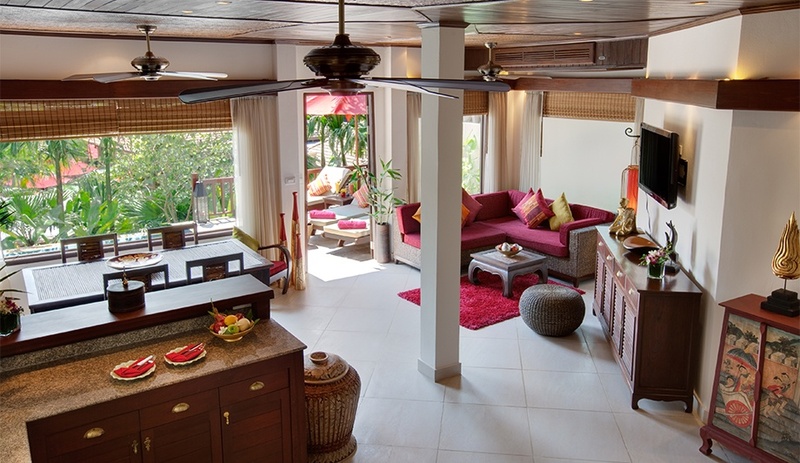 Our samui villas are equipped with a wide range of facilities that will make your stay in Koh Samui a wonderful experience. 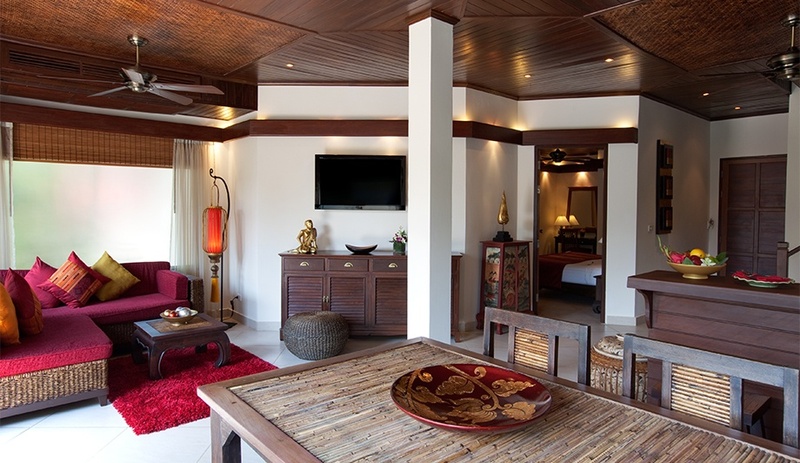 The facilities available in these Koh Samui villas will make you feel at home while helping you rejuvenate in this wonderful location. 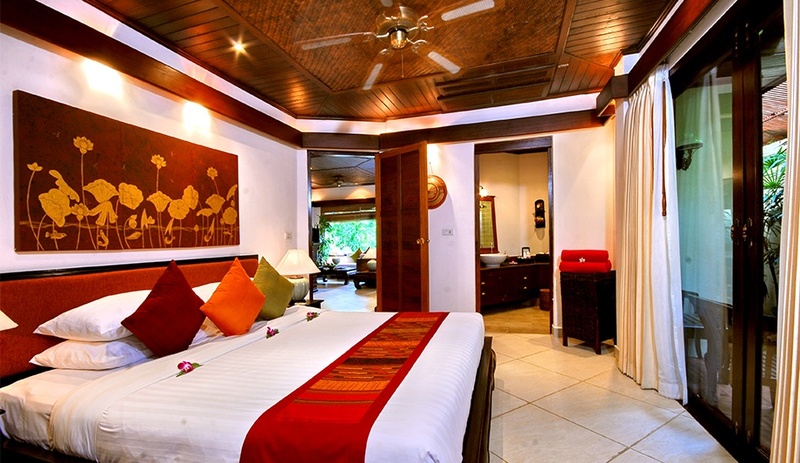 We also offer a wide range of amenities in our Koh Samui villas with a touch of privacy to ensure that you spend your holidays in these villas in the best way. Unlike other Koh Samui villas resorts, all our villas are well spaced to offer a degree of privacy not available elsewhere. 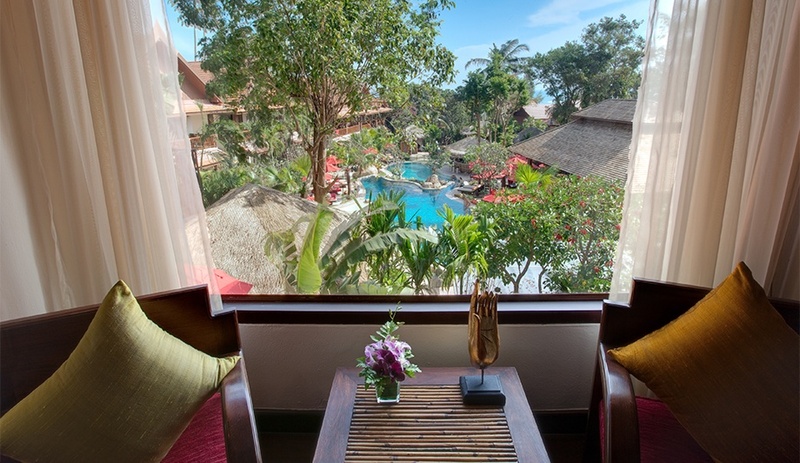 Our Thai Villas are set even higher above, amidst palm trees and exotic planting, to give truly spectacular views. 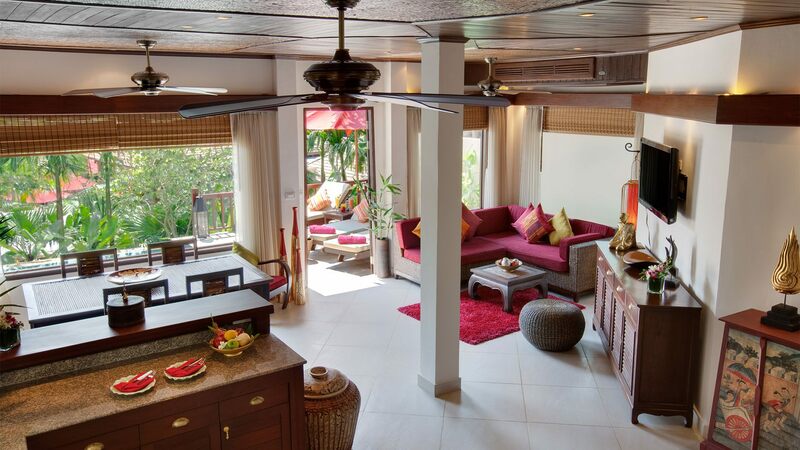 TWO BEDROOM – COMFORTABLY SLEEPS SIX PEOPLE – two storey Thailand villas each of approximately 120 square metres floor area. 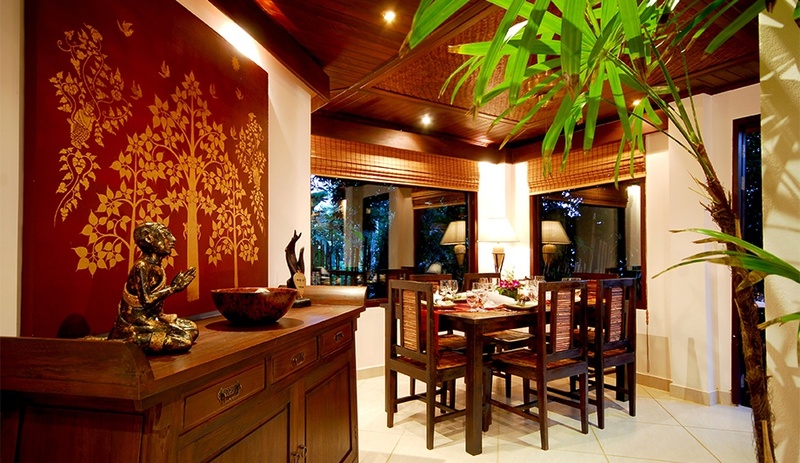 Modern Thai style setting with polished wooden floor boards. 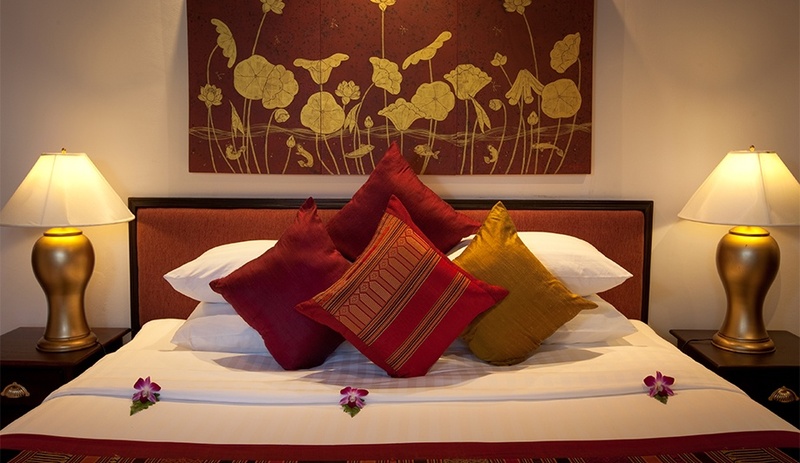 Traditional antique furnishings from Chang Mai. Open plan Living / Dining area with large sliding windows opening onto spacious balcony overlooking tropical gardens. American style kitchen, fully equipped with gas stove, microwave, sink and refrigerator. Granite work surface and hand-made wood units with bar opening onto Living / Dining. 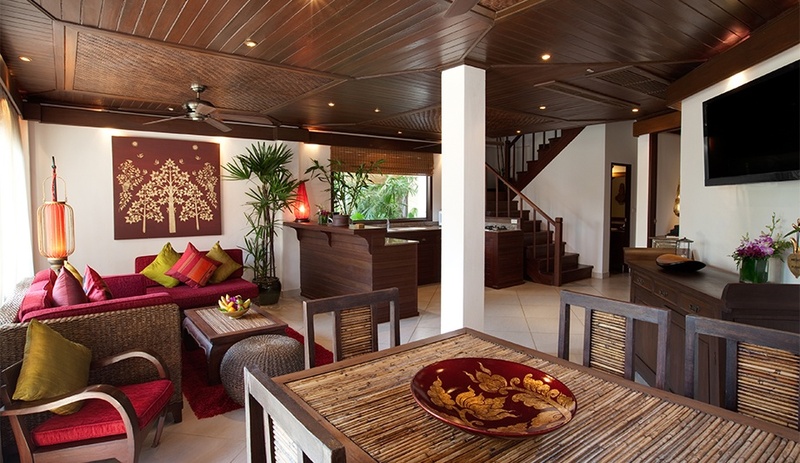 Large deck area with teak outdoor furniture for alfresco dining, stepping down to tropical gardens through to pool. 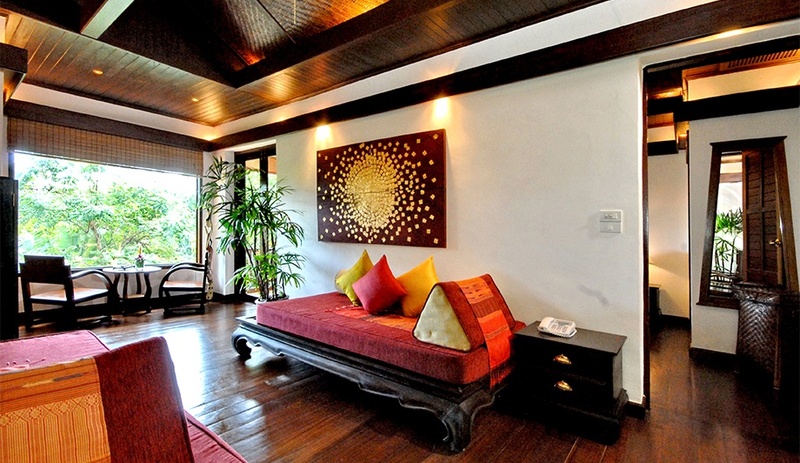 Thailand Villas consist of two master bedrooms each with kingsize bed and luxurious ensuite bathroom, including marble surfaces and natural stone tiled floors. Ground floor master bedroom with private tropical garden terrace & ensuite bathroom with floor to ceiling window onto private tropical garden. Second storey master bedroom, opening onto outdoor balcony. Second storey reception with two daybeds and sitting area. Day beds can be made up to accommodate two sleeping comfortably, ideal for families.